Used Aston Martin DB7 Review - 1994-2004 Reliability, Common Problems | What Car? What should I look for in a used Aston Martin DB7 coupe? The big V12 will require some fettling, and you'll need to find someone who knows what they're doing to avoid big repair bills. If the suspension geometry is wrong, you'll get through tyres rapidly. The exhaust manifolds are known to crack, and if you have to replace both sides, it can cost in excess of £800. Because the DB7 is quite heavy, the brake discs can warp, leading to a judder when braking. The car's nose is prone to stone chipping, which can lead to corrosion if not properly repaired. Accident damage is expensive to repair because many body panels are made from specialised materials. The Connolly leather interior might be very soft, but it needs regular conditioning to stay at its best. A car that has been poorly maintained will look tired. The air-con is also suspect, and can be expensive to fix, so make sure it works on any car you want to buy. 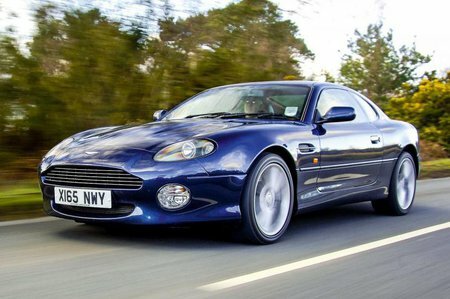 What are the most common problems with a used Aston Martin DB7 coupe? Is a used Aston Martin DB7 coupe reliable?